This May 10, 2017, file photo shows Afghan security personnel keep watch during fighting between Taliban militants and Afghan forces in Kunduz. 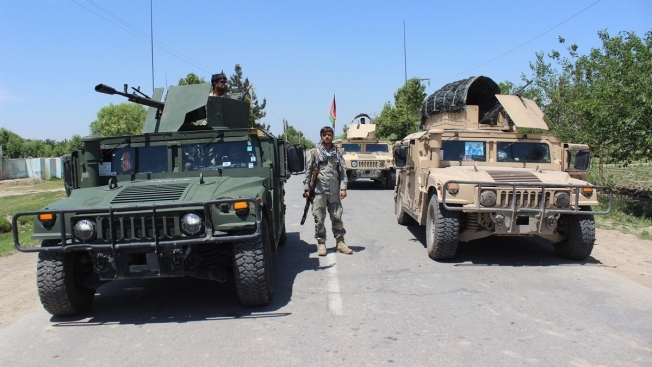 The Taliban on Monday, Aug. 20, 2018, abducted more than 150 people in Kunduz despite a call for an Eid cease-fire from Afghanistan's president. Afghan forces launched a lightning operation in northern Kunduz province on Monday, rescuing 149 people, including women and children, abducted by the Taliban just hours earlier, officials said.